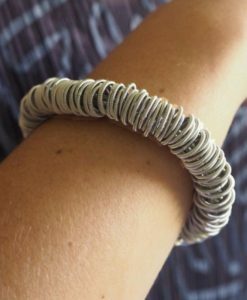 Italian architect, Tiziana Redavid, got inspiration for her range of stainless steel jewellery when she visited a friend who manufactured industrial springs. 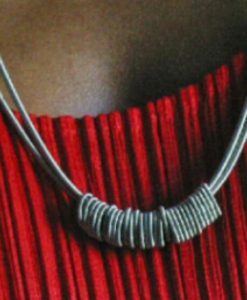 Taking samples, she viewed them with her fresh imagination, and was struck by the similarity with African ornamentation. She uses African design for her inspiration. La Mollla jewelry features fresh, interesting designs inspired by industrial springs. They have a great architectural feel.